Evelyn Lau has written seven books, including the bestselling short-story collection Choose Me. 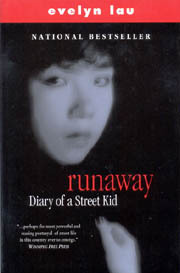 Her first book, Runaway: Diary of a Street Kid, was published in 1989 when she was eighteen; it became a Canadian bestseller and was published internationally. 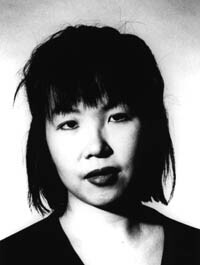 In 1992, Lau became the youngest poet ever to be nominated for the Governor General's Award, and in 1999, she received a Woman of Originality Award. Evelyn Lau lives and works in Vancouver. At the age of six, Evelyn Lau already knew what she wanted from life—to be a writer. Frustrated and discouraged by her parents, who forbade her to “waste” valuable study time writing, Evelyn ran away at the age of fourteen. Seduced by the freedom and independence that life on the streets of Vancouver seemed to offer, she was soon trapped in a downward spiral of drug addiction and prostitution. During her two harrowing years on the street, Lau’s writing ambition never left her; almost obsessively, she kept a written record of her days on the street. This record is Runaway: Diary of a Street Kid. Tragic, sometimes infuriating, but always honest and inspired, Runaway makes no apologies, passes no judgments, and offers no trite moral-of-the-story solutions. The result is a raw and vivid portrait of the life of a street kid.